Modern looking view will show your car repair service uses the latest methods and technology in auto maintenance. 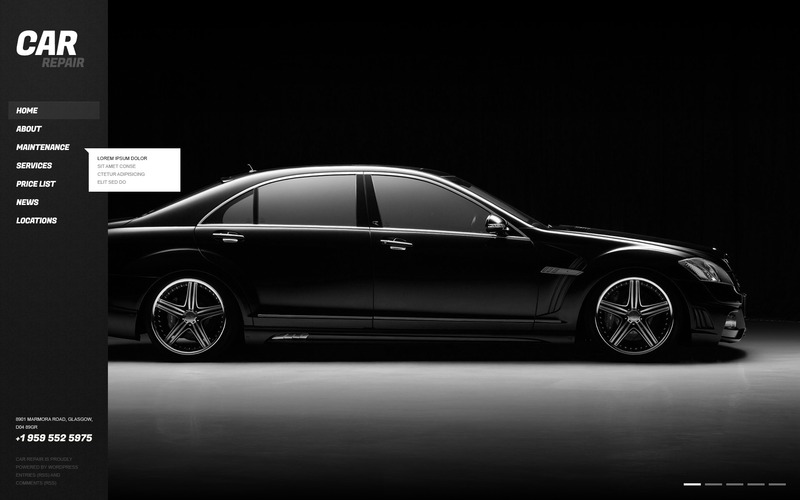 Car owners will be certainly attracted by the elegance of the perfect black cars on the main page. Big fonts, compact and comfortable interface will attract and imbue even the most exacting customer with trust.